As society has seen bursts of activity in the technology sector, we are continually discovering ways to harness these new advances. While some fields, such as artificial intelligence and machine learning, have already been massively exploited by industry, neurotechnology hasn’t fully broken into consumer markets1. 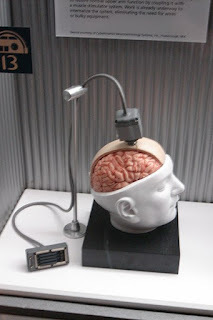 Generally, neurotechnology refers to any technology associated with the brain. Consumer products that use brain activity to modulate behaviour, such as the Muse headband, do exist, but neurotech remains predominantly in the hands of researchers and the science community1. 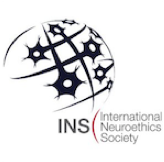 As neurotechnological advances begin to take centre stage and become a part of the 21st-century zeitgeist, the ethical implications of these technologies must be fully appreciated and addressed2. One area of concern is the fear that limited access to neurotech will create further discrepancies between regions with regards to quality of life. Ultimately, developers expect neurotechnology to be utilized for clinical purposes1. 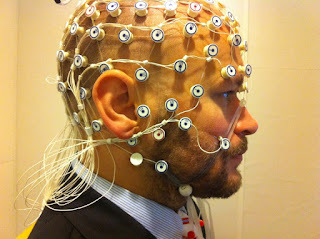 Brain-computer interface products are currently used to enhance meditation3 and attention4, but the primary goal is to use neurotechnology for therapeutics5. Prominent present-day examples of neurotech in the healthcare industry include virtual reality therapies for stroke rehabilitation6, phobias7, and autism spectrum disorders8. Unfortunately, as more of these fields develop and prosper, the improvements to health and wellness will be restricted to those who can access neurotechnologies. Furthermore, with Elon Musk, Bryan Johnson, and others work towards “cognitive enhancement” devices; “enhanced” individuals could easily gain an advantage over the unenhanced9. As is so often the case, these advantages will likely be conferred onto those in developed nations and, more specifically, wealthier individuals first. This distribution has the potential to exacerbate existing socio-economic differences; therefore, it is essential that as a society we democratically monitor progress and dictate guidelines as the neurotechnology industry advances. Access is not the only problem to address with regards to neurotechnology. As with many research endeavours, another consideration for neurotechnology is variability in research regulations between countries. Ethics approval is a fundamental component of both animal and human research, but the stringency of these regulations varies widely across regions.10 As neurotechnology progresses, some countries may be tempted to further relax ethical standards in an attempt to gain an advantage for publication purposes. Alternatively, some regions may allow procedures that are deemed illegal in other areas to capitalize on the financial prospects of these technologies. Elizabeth Parrish, the CEO of BioViva, travelled to Colombia to self-administer a gene therapy procedure that was not FDA approved in America11, highlighting the potential consequences of divergent regulations. Clearly, it will be important to maintain an open dialogue across economic strata and cultural lines regarding the future of neurotechnology to ensure everyone can properly benefit from these resources. With these interests in mind, we at NeuroTechX are focused on looking ahead and creating equal opportunity in the neurotechnology domain. NeuroTechX (NTX) is a global organization leading the advancement of neurotechnology. 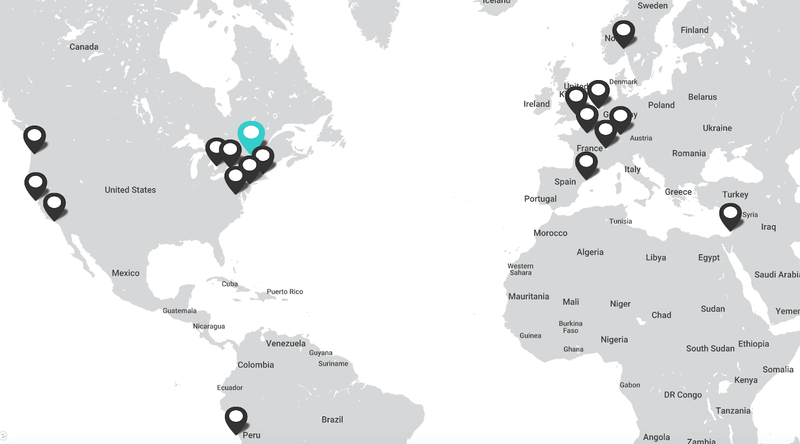 Our community was started by a group of graduate students and neurotechnology enthusiasts in Montreal, Canada. After spending countless hours searching YouTube for instructional videos, NTX was born out of a desire to exchange knowledge and resources related to neurotechnology. Our organization is founded on a “bottom-up” approach focused on identifying and fulfilling needs as requested by our members. In particular, we seek to provide members with access to key resources and learning opportunities. As a non-profit community, we are unencumbered by commercial interests; this freedom allows NTX to remain unbiased as we combat emerging pseudoscience in our industry. 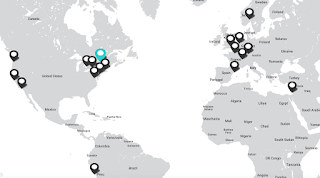 Currently, NTX consists of 17 chapters spanning four continents and 15 affiliated student clubs. Our community includes neuroscientists, software developers, engineers, and industry professionals; we hope to foster and develop the future leaders of neurotechnology, both in academics and industry, who represent all socioeconomic strata and cultural backgrounds. By making training and resources available on a global-scale, NTX hopes to mitigate access inequality. With these lofty goals in mind, NTX has identified specific areas to direct its efforts: a worldwide, interconnected channel of chapters, and an educational platform. We have developed an international channel for communication and collaboration through our chapters initiative. Chapters are local community groups, which act as points of entry for anyone with an interest or expertise in neurotechnology. While each chapter is unique, they share a common goal of facilitating the exchange of ideas and collaboration on projects. Chapters can take advantage of the tools and resources available across our worldwide community through our online platforms. NTX leverages social media as an information exchange platform to unite and inform our members across the globe. We believe that by establishing global connections, we can mitigate disparity in the neurotechnology sector and help ensure everyone has an equal opportunity to benefit from these advances. Notably, our international chapters have helped us identify ways to facilitate access in diverse cultural and educational settings. As a tangible representation of how access determines output, activity in the NeuroTechLIMA chapter has been limited by a lack of resources in Spanish. Having been made aware of such predicaments, we are now working to develop materials in a wider array of languages to help mitigate language barriers. NTX feels the international connectome is a critical aspect of our mandate because it ensures remote areas are exposed to the same opportunities as more urban regions. Moreover, the inclusion of neurotech enthusiasts from outside technology “hubs”12 guarantees more diversity in ethical discussions surrounding neurotechnology. We feel all voices should be included and participate in deciding the governing rules surrounding the development and implementation of future neurotechnology. Until recently, information on neurotechnology was highly scarce and primarily restricted to academic institutions. Recognizing that these difficulties are likely exacerbated in areas with limited access to educational channels or neurotech industry NTX developed an education platform. NeuroTechEDU is an online, open-source learning portal consisting of informative blog articles, lessons on all facets of BCI, teaching webinars on YouTube, and an extensive resource list. By creating a consolidated portal with relevant neurotech information, we hope to accelerate the learning phase for new members and provide useful resources to our more experienced constituents. By keeping NeuroTechEDU online, free, and open-source, we ensure neurotechnology is not merely limited to those affiliated with prestigious institutions. We hope our educational resources will give access to interested parties all over the world. We expect significant neurotechnology advances in the coming years, and our goal is to train the future professionals of this industry. We hope that by providing uninhibited access to educational resources, we can ensure everyone is equally prepared for the upcoming neurotechnology boom. NeuroTechX is dedicated to reducing disparities in access to knowledge and resources by connecting individuals to neurotech opportunities and establishing a global connectome for information exchange. We hope that by breaking down access barriers, we can contribute to a harmonious future where everyone can benefit from neurotechnology. We invite you to check out our monthly Neurotech Newsletter to stay informed on recent advances in the field, Also, join us on the NTX Slack workspace to engage in further neurotech discussions. 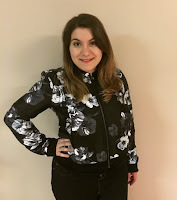 Maria Marano recently completed her MSc. at the University of Toronto, and is currently working as a scientific writer highlighting neurotech advances in the healthcare industry. She is also the Vice-President of the Toronto chapter of NeuroTechX. Maria is interested in knowledge translation and effectively harnessing research discoveries to benefit the broader public.